Do you want to save time and money on your travels to Thailand? My Baggage are here to help you. We can transport your luggage from your home to your chosen destination, conveniently and affordably. Our door to door luggage shipping service means you can spend less time worrying about your luggage and more time enjoying your travels. Situated in South East Asia, Thailand is considered one of the most popular tourist destinations. It’s well known for it’s beautiful white sand beaches, great food, glittering temples and martial arts talent. This Kingdom certainly has a lot to offer visitors, presenting them with historic beauty, wildlife and culture. Why is Thailand ‘The land of Smiles’? The country got its nickname in recent years due to the boom in Thai tourism, with lots of visitors speaking about their experience and sharing with others that Thailand is a smiley place! Thailand is well known for its friendly locals and interesting, exciting cultures. It is said that the locals are always smiling, regardless of how they might feel, they believe smiling will help them feel better. Thus, making it a welcoming place for tourists, allowing them to feel at ease and enjoy their time in Thailand. 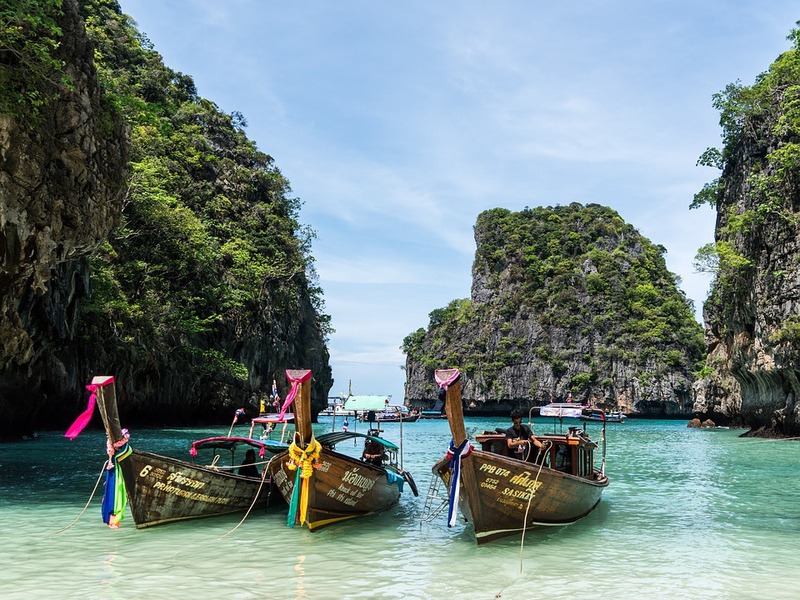 You might be travelling to Thailand for a on a gap year, for work or simply, on holiday. Regardless of the reason for your travelling, you’ll want to take luggage with you. But, how will you get it there and back again? Airline baggage is often the only option we think of, right? 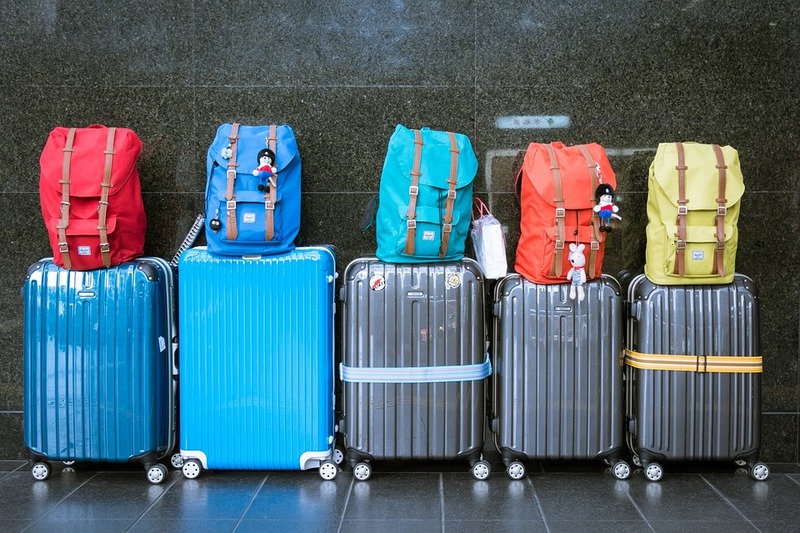 It can be the best option for many people, however, we all know excess baggage charges can be very expensive and often your baggage allowance can be restrictive, making the process a little stressful. Another option is traditional removal companies, this works perfectly if you are relocating and have to send large, bulky items such as beds, sofas, and even your car. That said, it can be costly, and the transit times can be exceptionally slow depending on your route. Why Ship Your Luggage To Thailand? Luggage shipping companies can offer an alternative for your trip to Thailand. Luggage companies are for everyone, they’re there to help ease the process, saving you both time and money, allowing you to spend more on enjoying your time abroad. Here at My Baggage we like making the process a stress free one, making your travels more enjoyable. With My Baggage, you can stick to your budget and get your luggage transported straight to your destination in Thailand. Everyone can use My Baggage. Regardless of the reason you’re travelling for, you can avail of the convenient, low-cost service that My Baggage offers. Whether you’re a holidaymaker, a student, a business user or otherwise. What Can I Send My Items In? Items can be sent in boxes or suitcase or a mixture of both. We recommend that you use strong- double walled cardboard boxes to ensure your items are secure for transit. You can read through our complete packaging guide to find out more. When you book with My Baggage we will pick up your luggage from your home, work or wherever else you’d like. Our service is personal and we want to make it as easy as possible for our customers, therefore there are no drop-off points – we deliver your luggage directly to the door of the destination you’re travelling to. It’s important to us that our customers know the whereabouts of their luggage. To do this, we offer a tracking system on our customers accounts, allowing them to check the stage of their delivery. Email and SMS updates are also available for those that want to opt in. Our wonderful team of customer service experts have many years experience, and are there to help our customers each step of the way. So, if you happen to have any questions or concerns, you can contact us via phone, email and live chat. You can save money with using My Baggage. We work with top couriers to give our customers the chance to save up to 80% when shipping luggage. If there’s a cheaper price elsewhere, let us know and we’ll do our very best to match it. 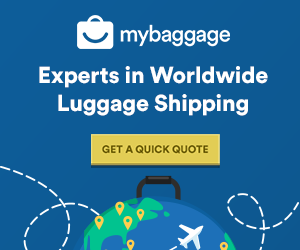 My Baggage are experts in shipping luggage worldwide. However, that’s not all we ship! Have a look at a few other things we ship to Thailand for our customers and if there’s something you’d like to ship to Thailand that we haven’t already mentioned, simply get in touch and we’ll advise you! Maybe you’re heading to Thailand for a long period of time and will therefore need more clothes, if not all of your clothes, or maybe you’re heading for a short holiday and wanting to bring more clothes with you for choice. Either way, you can avoid having to pay oversized airline baggage fees, simply by shipping your luggage with My Baggage. Using My Baggage to ship your oversized bags to Thailand means you can still bring plenty of belongings with you to Thailand, without having to pay a lot of money. Thailand is a fantastic location to live, work and study. If you have a friend or family member in Thailand doing one of these, you might find it expensive and rather challenging to send them presents and/or care packages. Shipping with My Baggage can erase all of the difficulty away from getting your presents or care packages to Thailand. If you plan on sending presents or care packages to a loved one in Thailand, please do check our non-compensation and prohibited items list before purchasing items to send. When shipping personal effects to Thailand, you are legally required to complete and send a customs declaration with your shipment. My Baggage will provide you with the appropriate customs paperwork for you to complete and attach to your shipment. If your shipment does not have a customs invoice attached, it will not make it past your local country border, and you may have to pay return charges to get it back. Generally, My Baggage shipments clear customs in a timely manner, free from duties and taxes, as most countries offer a generous duty-free allowance for personal effects. However, as customs processes and allowances are different around the world, and because My Baggage has no control over any decisions made, we do advise doing your own personal research into Thai customs regulations and quarantine before booking your shipment to Thailand. Please make yourself aware of any potential customs duties in Thailand and be sure to follow any and all advice provided by customs directly. Please note: Shipments entering Thailand might need to undergo further inspection by customs if they are declared over the value of $100, as they are likely to result in additional time to clear and potentially incurring duty and taxes We advise that these shipments should have a lesser value. Using My Baggage means you can ship your personal items wherever you want in world, you can send almost everything you would typically find in a standard holiday suitcase. However, for security and customs reasons, there are certain items which are prohibited and cannot be carried, as is standard with most shipping companies. Although, do keep in mind some items can be carried but may not be covered by compensation. These items would be sent at your own risk. If you choose to send any non-compensation items, do ensure they are packaged securely and appropriately. Please note that import allowances, security and customs processes differ all around the world; we recommend that you do your own personal research into what may be prohibited in your destination country before booking your shipment to Thailand. It takes just a few moments to complete your booking online with My Baggage. Get a quote using the box below and pick a date that suits you best. We’ll then send you some labels to print off and attach to your luggage as well as some documents to fill in. Then sit back, relax and let My Baggage take care of the rest.